While everyone was getting ready for the Super Bowl and seeing the Patriots and Seahawks play I was getting my anime watching in. I mean hey I was off of work so I was trying to catch up on it. So of course I started off with this weeks new episode of Kuroko’s Basketball. So let’s get started! So this weeks episode started off with some humor with Kagami waking up beside Alex his mentor who did I mention was naked in his bed. No they didn’t do that but it was very funny to see Kagami’s reaction to it all. Even though this is a sports anime it feels nice when there are humor moments that have nothing to do with the sport involved. The humor in the beginning continues with Kagami and Kuroko getting yelled at by Riko because their shoes are torn to pieces and they have to go shopping for new ones. More hilarity ensues when Kagami can’t find his size and has to borrow shoes from Aomine. After this the shows get back to being rather serious and with action with the start of the finals where it’s Akashi vs Midorima. Now this is where we catch the first glimpse of just how Akashi is and exactly what kinds of powers his possess. Just like one of the players on Shutoku said everyone on that team was in uniform and followed everything that Akashi said which was strange since he is only a first year. 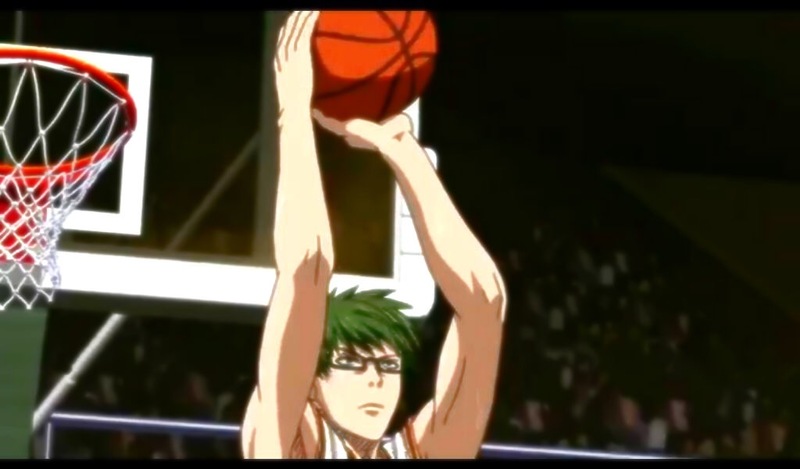 But anyway right out of the gate it started off with Midorima shooting those amazing shots of his (man I wish I could shoot like him). 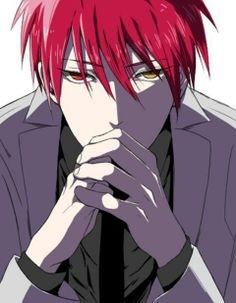 But Akashi didn’t seem phased by it so that means that there is more that’s going to happen in the coming episodes. I just can’t wait! So look forward to my next post on episode 5 and don’t forget I post on here every Tuesday, Thursday, and Saturday!